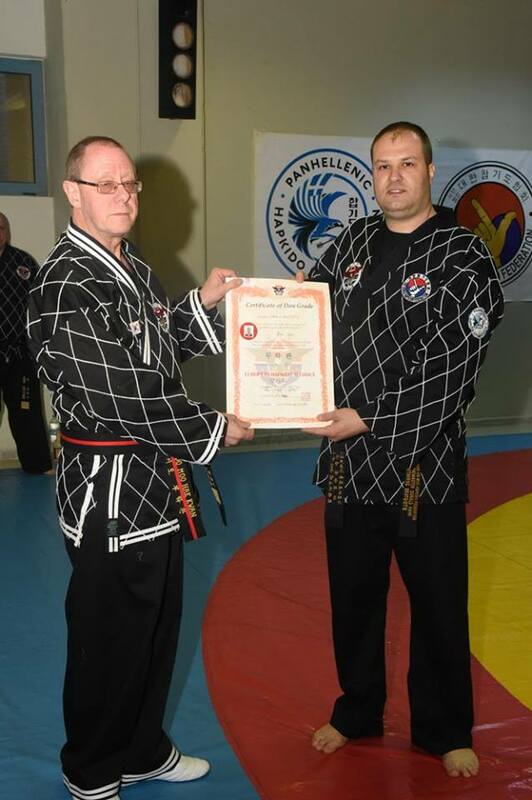 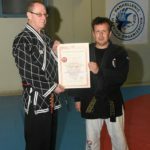 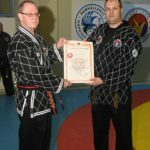 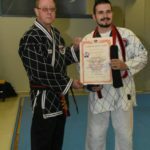 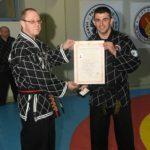 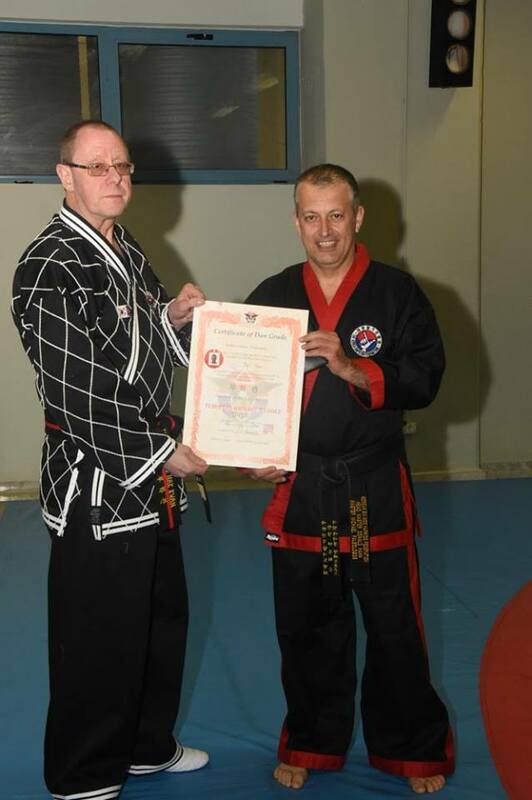 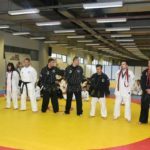 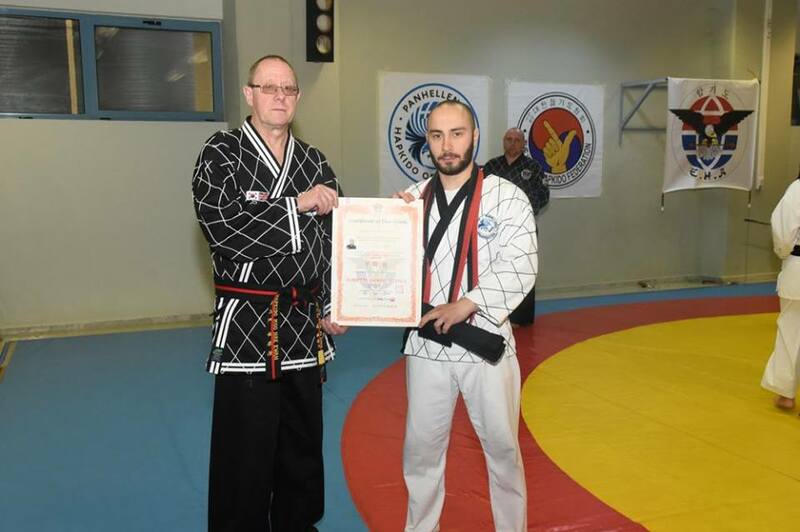 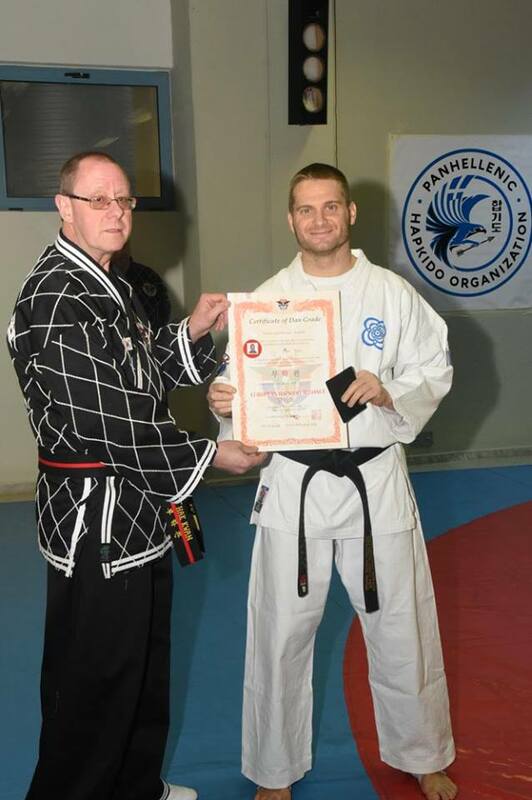 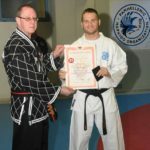 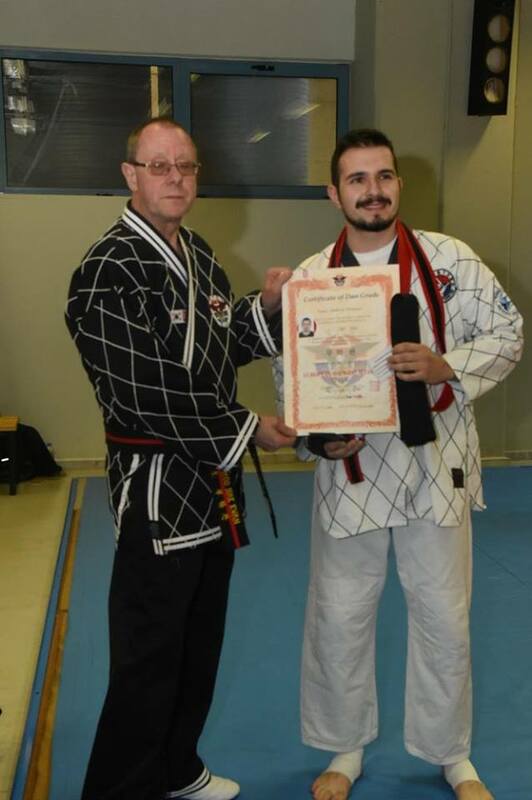 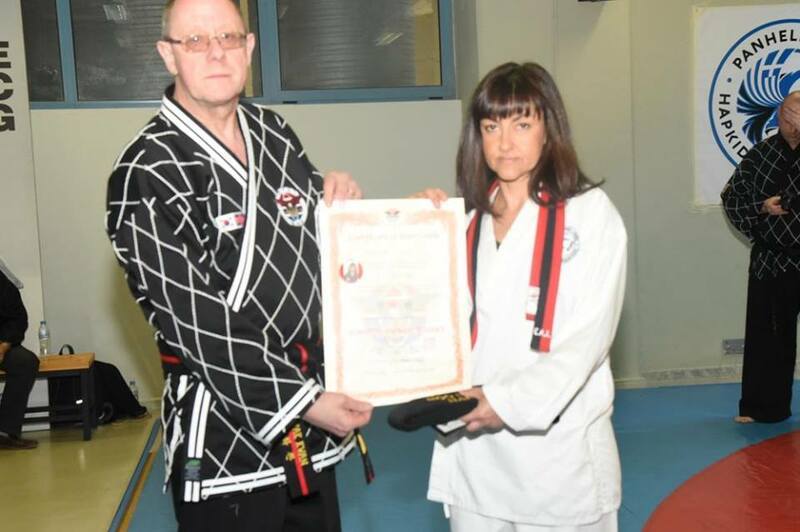 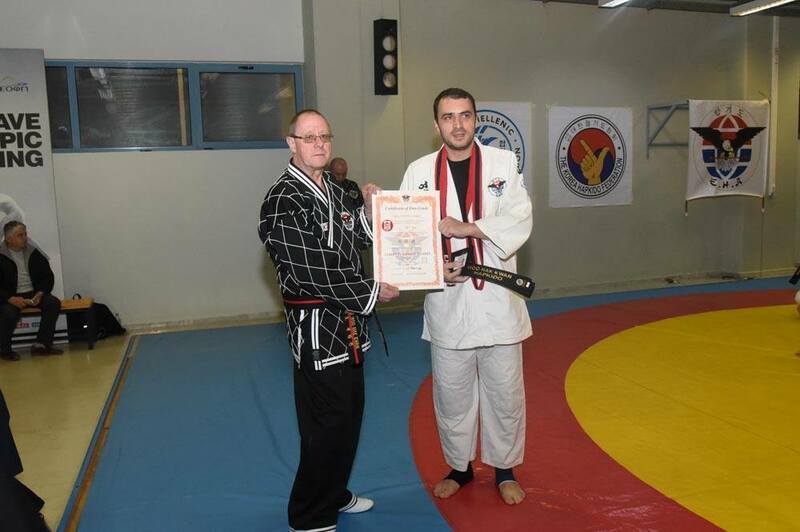 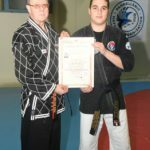 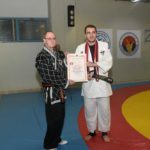 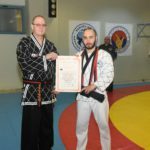 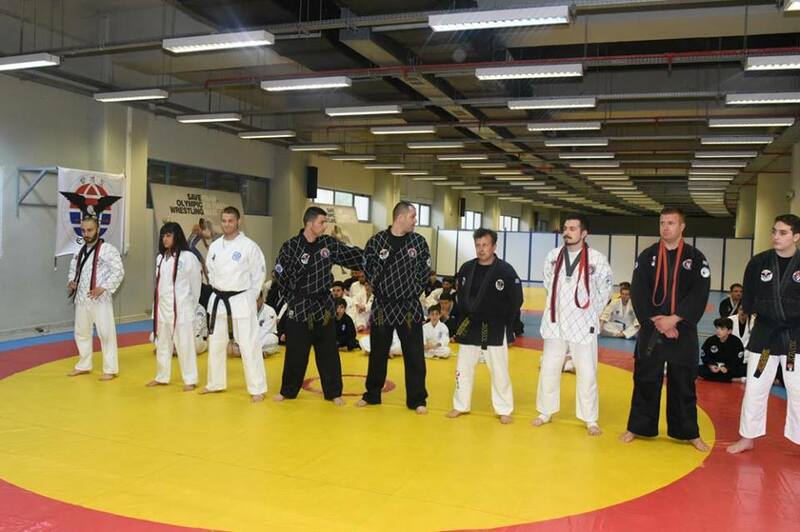 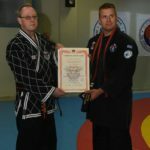 On March 4th 2016 at the EHA 2016 Meeting, Grandmaster Sam Plumb promoted Master Michael Paleologos to the rank of seventh degree black belt in Hapkido. 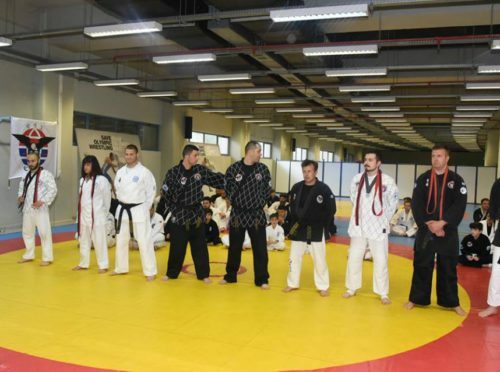 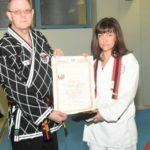 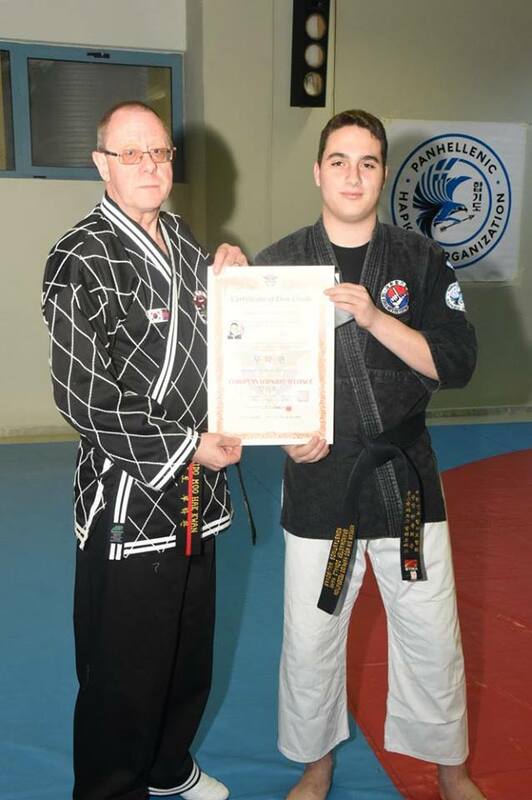 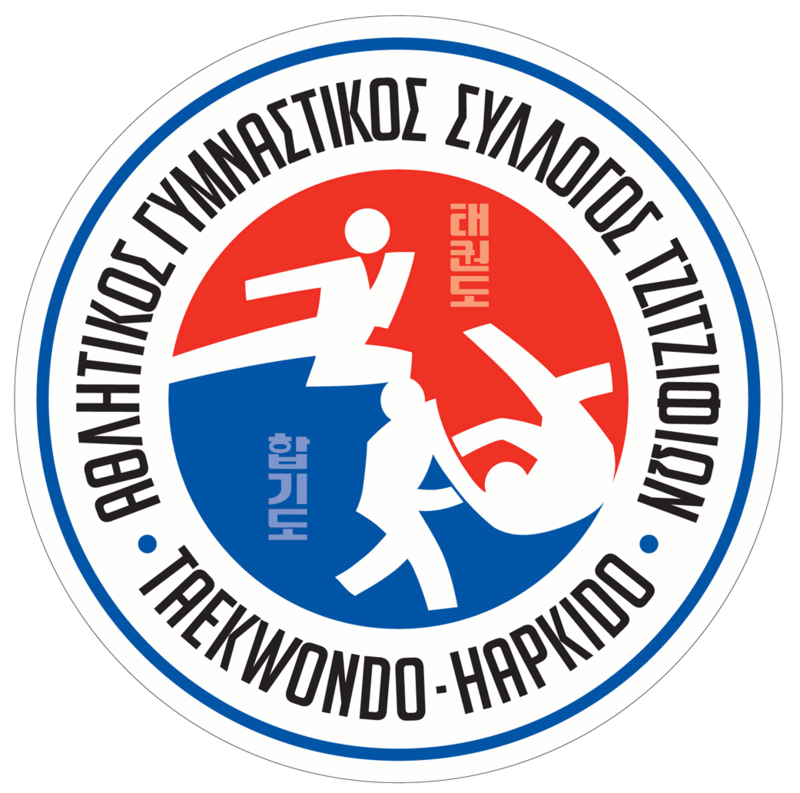 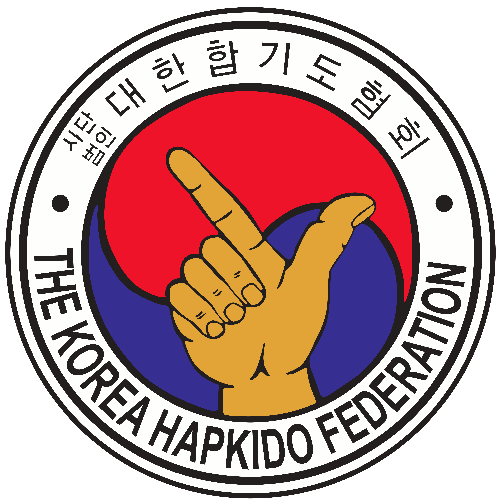 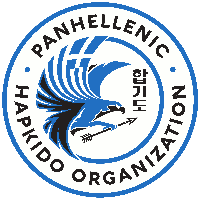 Master Paleologos has dedicated over 30 years of his life to Hapkido and heads the Panhellenic Hapkido Organization in Athens. 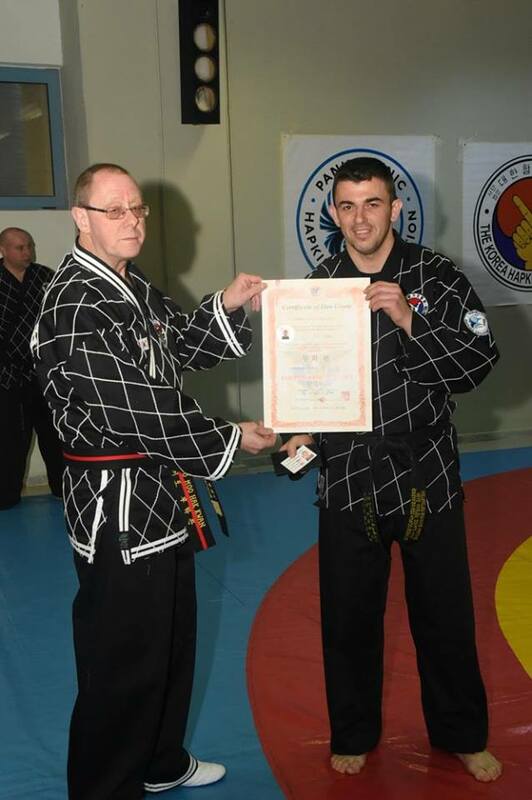 Master Paleologos, whose title is now Chief Master, is pictured on the left with Master Nick Sellars on the right and Grandmaster Sam Plumb in the centre. 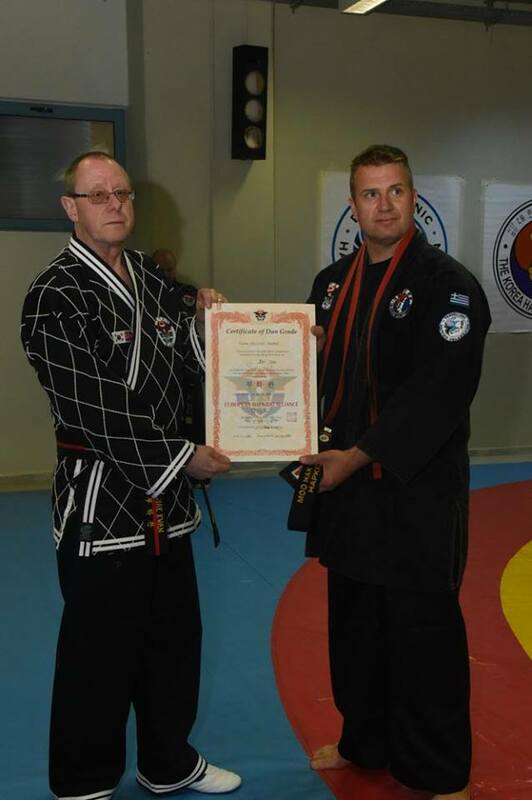 Our first Moo Hak Kwan Hapkido belts. 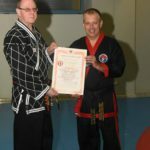 From 1st to 7th dan. 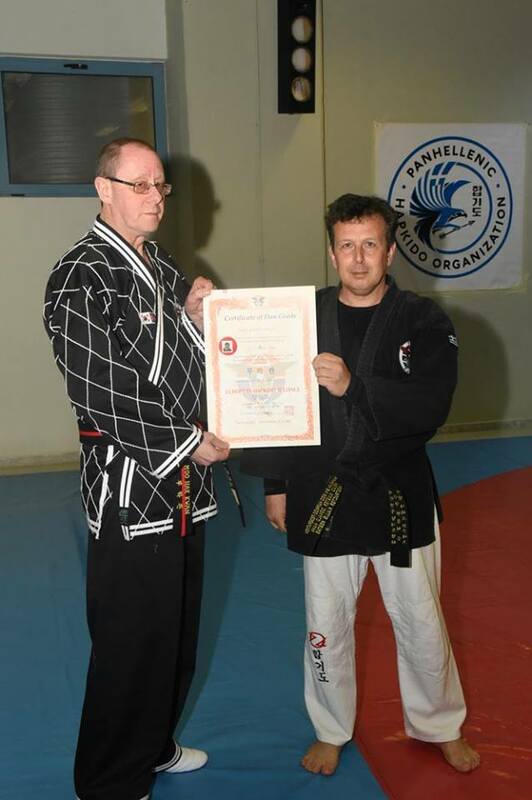 Examiner Grandmaster Samuel Plumb founder and president of European Hapkido Alliance personal student of Grandmaster Sung Soo Lee.